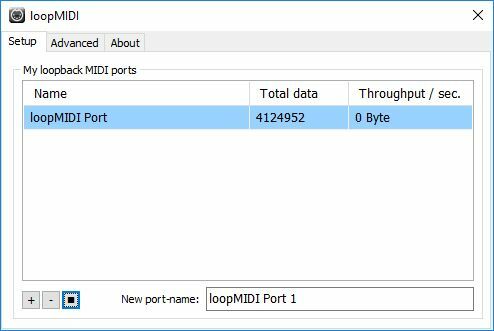 Anyone experience problems with LoopBe1 muting the MIDI data automatically on tests ? 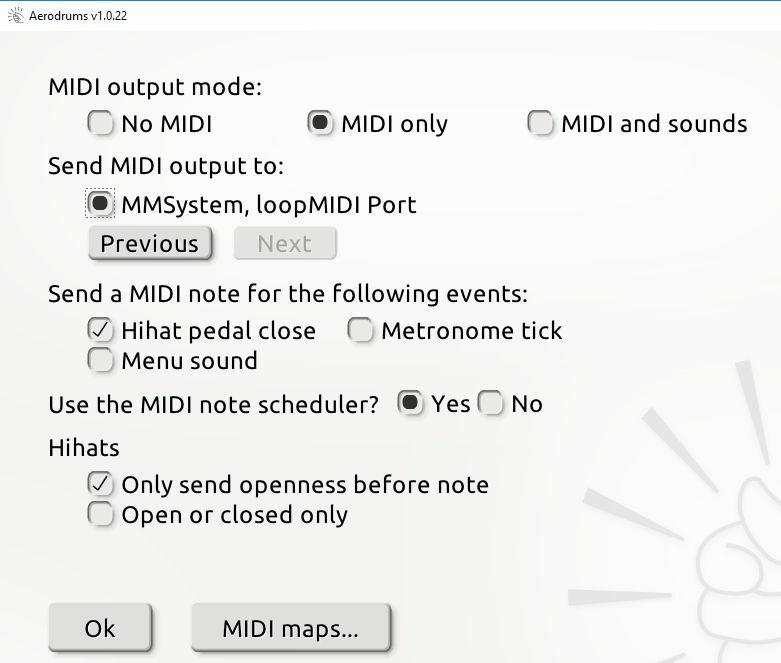 Im using an alternative LoopMIDI from Tobias Erichsen, works fine without 'MIDI feedback' problems. Good to hear that LoopMIDI works better for you. 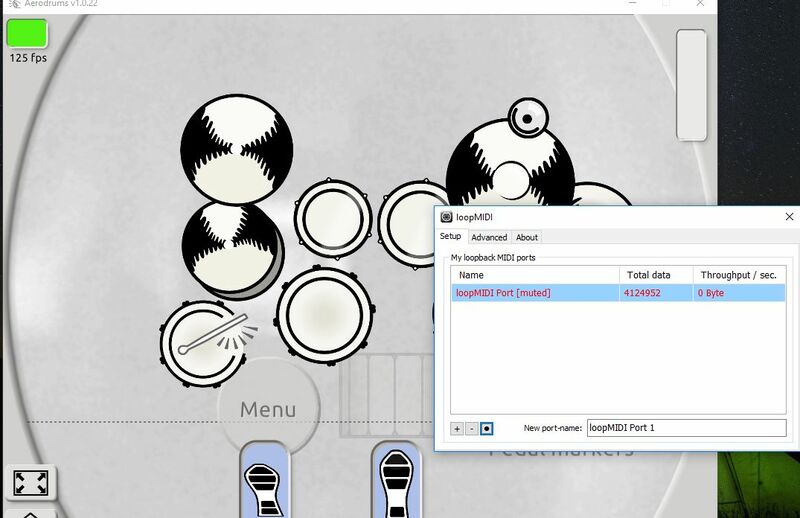 Can you confirm that when using LoopBe1 with Aerodrums it popped up a message saying that feedback was detected? We haven't heard of this problem before and not sure how it's possible with the way Aerodrums handles MIDI. Before you replied I was going to suggest enabling the 'Only send openness before note' option to see if that fixed the LoopBe1 problem but from your screenshot it looks like you already had that enabled. Can you help me with my Unity 3D application or somebody in the forum ??? I want to share the application on github. 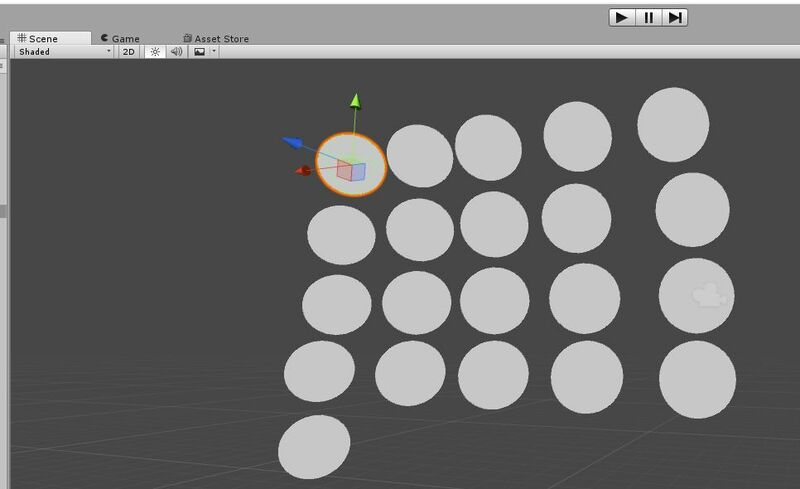 On Unity3D i get the MIDIJack Project, and openned the 'Example Note.unity' scene, and create a 21 3D spheres, and set each to a MIDI Note with the 'Note Indicator.c' script. 50,37,40,38,36,46,41,43,47,48,23,49,55,54,56,52,53,51,21, each note correspond to a drums individual element. 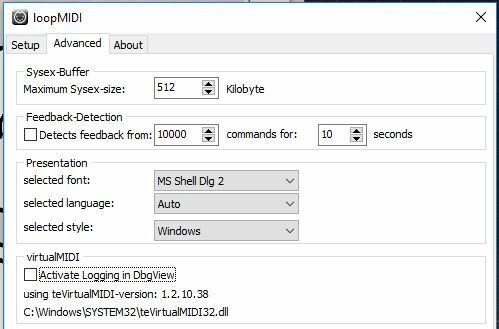 Aerodrums cant send MIDI Notes to LOOPMIDI or LoopBe1 because are Muting the MIDI Channel ! Someone can help to solve this ? 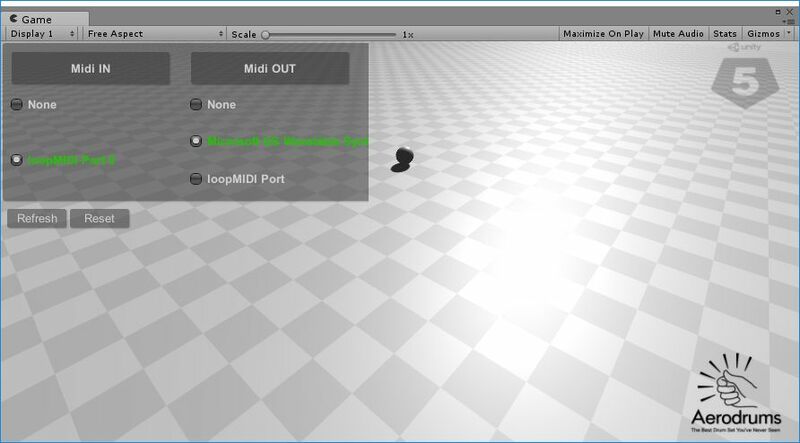 We can make custom Unity 3D applications for Aerodrums ( for Windows ). I appreciate the help ! Maybe is a problem with Unity script code ??? Progress 2: Yesss working ! Nest step: Fighting with 3D phisycs and effects for each Drums peaces ! OBS: Can i open a thread for this development here in this forum ? For the floor im using a Unlit with Cast Shadows shader. The 3D Drums i got from 3D Warehouse, have a lot of models. 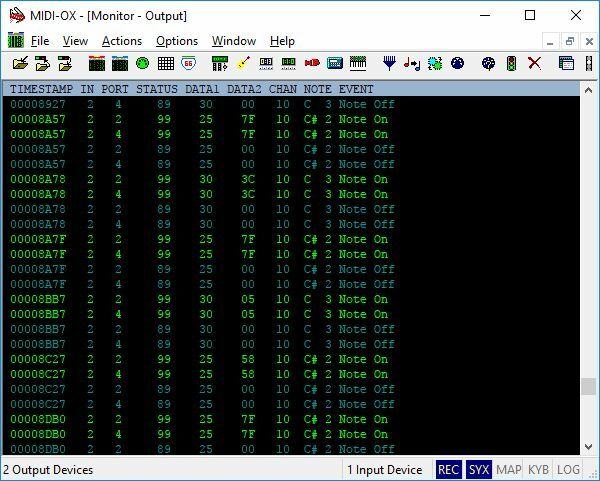 And for MIDI integration im using another package, not MIDIJack, its "MIDI Unified"